A the largest angle in the triangle. Which side the largest side? B the largest angle in the triangle. Which side the largest side? A the smallest angle in the triangle. Which side is the smallest side? B the smallest angle in the triangle. Which side is the smallest side? C the smallest angle in the triangle. Which side is the smallest side? 1. Generalize what you have learned. 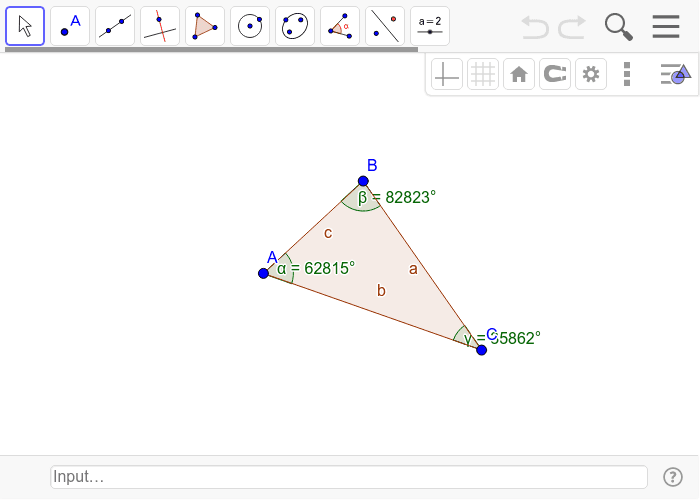 If you have a triangle with known angle measures, how do you know which side is the largest side? smallest side?
. Order the sides from least to greatest.